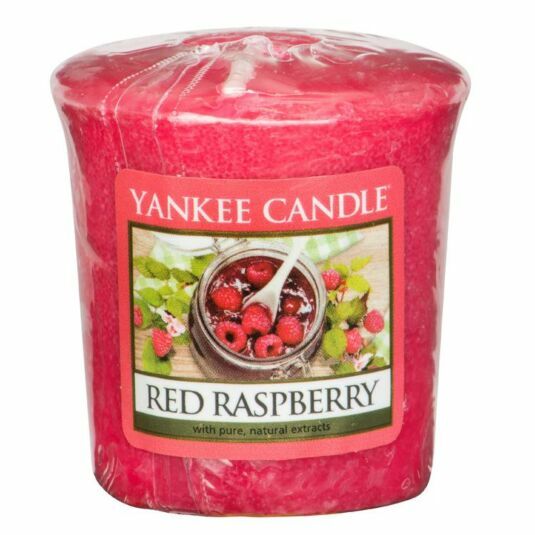 Bring a sensation of summer fruit to your home with this fragrant red Sampler Votive candle from Yankee Candle. This Sampler Votive candle has a burn time of up to 15 hours and is perfect for fragrance layering, as well as sampling new scents. Votives must be burned in a holder, as they turn to liquid while burning. The candle reflects a warm, relaxed sense of style that’s always at home, be it in the bedroom, the bathroom, the living room, or anywhere else you see fit.